We are a charity whose purpose is to provide information and support to MPGN, DDD and C3G patients and their families. MPGN/DDD Support Group was founded on 22nd June 2013 and became a registered charity on 14th July 2014. We are registered with the Charity Commission for England and Wales, and our number is 1157821. MPGN/DDD Support Group is run by patients, their families and carers, all of whom are volunteers. This website will help us to achieve our aims by providing useful information, news and advice, raising awareness of these diseases and being an effective instrument of future campaigns. 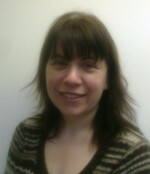 Dr Sally Johnson, Consultant Paediatric Nephrologist in Newcastle-Upon-Tyne. Dr Johnson is chief investigator for the National Study of MPGN and principal investigator for a number of multicentre clinical research trials. Dr Stephen Marks, Consultant Paediatric Nephrologist and Clinical Lead for renal transplantation at Great Ormond Street Hospital (GOSH) & Chair of MPGN/DDD/C3G Rare Disease Group of RADAR.